Been a long time since my last journal update - for the past year I have been a member of the UK Garrison. We attend charity events across the UK raising money primarily for Help for Heroes and the Make a Wish Foundation. Everyone gives their time voluntarily and owns their own costume - oh yeah did I forget to mention most of us are Star Wars characters. At the moment I'm what's called a spotter - we look out for the guys and gals in costume make sure they're ok, not about to fall in any pot holes etc ! But I'm building my own costume at the moment too - I'm gonna be Tarfful the Wookiee general from Episode III Revenge of the Sith ... it's on ongoing process but I'm getting there bit by bit and loving doing it too. 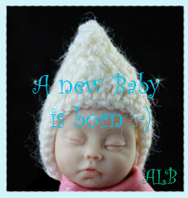 I'm a polymer clay artist making namely baby items but branching out and learning all the time as I go. Thanks he was so fun to make...I channeled my inner child who desperately wanted one of my own as a kid I'm glad to see I'm not the only one who gets frustrated with the quality of commercial merch. If I had some more experience in making molds I should have made this one up. I guess I still can if i make a new one. Hi! thanks so much for the fave! It might just be a single click for you, but it is always nice when someone likes your work enough to click that button! Thank you very much for the +Watch, I really appreciate it! No worries - I love your Dark Crystal stuff - it's like they walked straight off the set !